A Carolina Wren on a snowy day. Photo by Mike P via Birdshare. For a variety of reasons—from changing habitats and a shifting climate to more people providing food at backyard feeders—some birds aren’t flying as far south for the winter these days. Some species that once flew to the tropics are now only going as far as temperate areas in the U.S. Some that used to overwinter in the American South are staying farther north. Citizen-science projects, like the Cornell Lab’s Project FeederWatch and the Great Backyard Bird Count, provide thousands of data points that show how the winter ranges of some birds have changed significantly. Project FeederWatch reporting locations for Yellow-rumped Warbler show how their range has increased from 1989 to 2014. The state bird of South Carolina has recently been spending the winter in areas as far north as Minneapolis, Milwaukee, and Montreal. Project FeederWatch tells the story of how this bird is expanding in its northern range. Last winter, Carolina Wrens were reported at 73 percent of bird feeders in Massachusetts, compared with 58 percent in 2003–04. 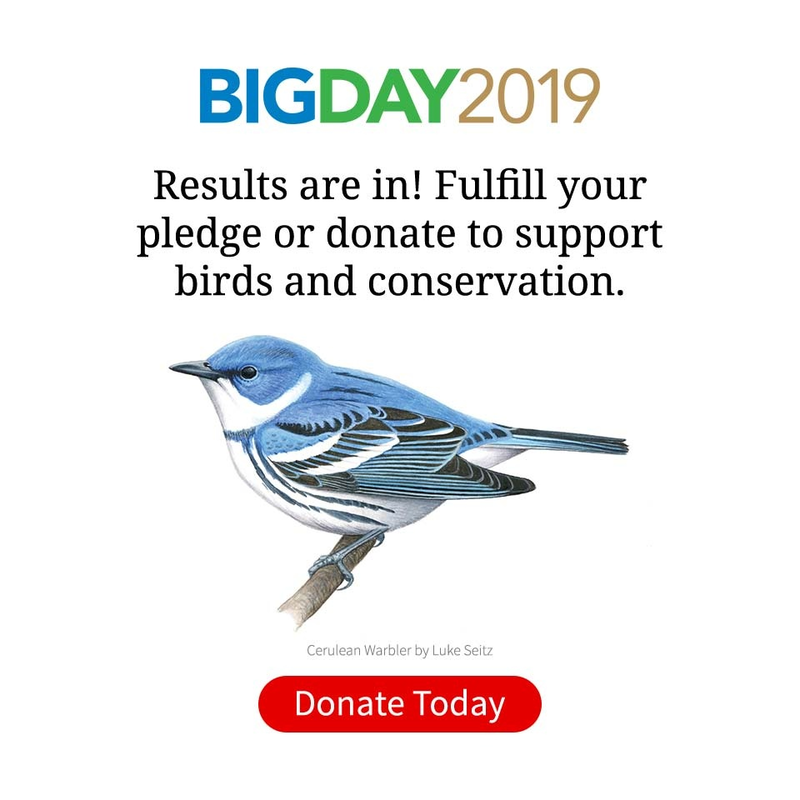 It’s the same story in Michigan, where 26 percent of FeederWatchers reported Carolina Wrens last winter; 10 years ago that number was just 8 percent. Bushtits are lively birds and flocks are becoming much more common in the West. Photo by Morgan Terrinori via Birdshare. Project FeederWatch data show a steady increase in Bushtits reported at western bird feeders over the past couple decades, from around 10 percent of feeders in 1989 to about 30 percent in 2014. Feederwatch biologists aren’t exactly sure why this is happening, but it’s a mystery they hope to solve as they continue to analyze data this winter. Project FeederWatch trend lines from the Northwest (blue) and Southwest (pink) show that the percentage of bird feeders in the West visited by Bushtits has about tripled. A Yellow-rumped Warbler in winter plumage. Photo by Tony Adcock via Birdshare. Yellow-rumps are unique warblers in two respects. First, they’re not strictly a Neotropical migrant, with many staying in the U.S. for the winter. And second, they show up at bird feeders, often picking at a suet station. According to Project FeederWatch, more Yellow-rumped Warblers are overwintering in southeastern states. In a triangle from the Carolinas to Florida to Texas, reports of yellow-rumps (based on percentage of participants reporting the species) have more than doubled, from 22 percent in 1989 to 47 percent in 2013. Even in the Pacific Northwest, where wintertime Yellow-rumped Warbler sightings were exceedingly rare in 1989, they were found at nearly 13 percent of feeders in 2013. Northern Rough-winged Swallows feed almost exclusively on flying insects that are usually absent in the cold months, but somehow these birds are finding food and expanding their winter range . Photo by Ryan Schain via Birdshare. The Northern Rough-winged Swallow is a breeding bird of the United States that typically flies way south for the winter to Mexico and Central America. Since swallows feed almost exclusively on flying insects, they need to be in areas where they can find flies and bees. But in recent years they have overwintered in some surprisingly northern places. The Great Backyard Bird Count (which is held every year in February) has found these swallows in New Haven, Connecticut, and Philadelphia. Scientists think that more sewage plants in urban areas, perhaps in combination with overall warmer winters, are providing a steady source of insects that allow Northern Rough-winged Swallows to make a living even in wintry regions. Reports of other swallow species, and Purple Martins, have also steadily increased during winter months in the North. Sightings reported to eBird for Northern Rough-winged Swallow in the months of November-March.